Macau, known world over as the Las Vegas of the East, currently runs ahead of Las Vegas as the world’s top casino market. The Venetian, the largest casino in the world, is situated in the Cotai Strip of Macau. But if you ever get tired of glistening chandeliers and multicolored casino chips on your international holidays, Macau also has several outdoor expanses that are capable of arousing any traveler’s mind. Come and enjoy great outdoors in Macau. 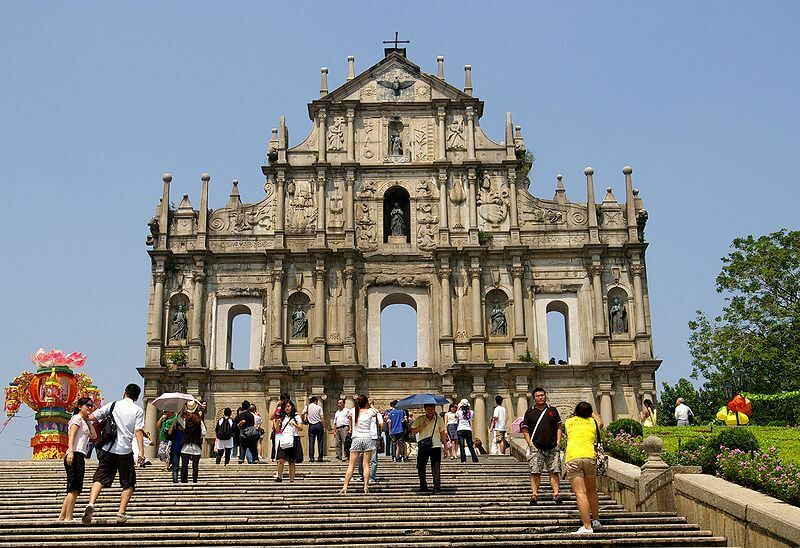 Being a UNESCO World Heritage Site, the Ruins of St. Paul is one of the most important landmarks in Macau. Built in the early 17th century by Jesuits, the site hosted the St. Paul’s college and the Cathedral of St. Paul, which were damaged by a fire during a typhoon in 1835. What remains now is the front façade of the cathedral, which has recently been reinforced. Visitors can climb to the top of the façade through steel stairs on its backside. Also a UNESCO World Heritage Site, the Senado square is paved in a wave pattern with mosaic stones. 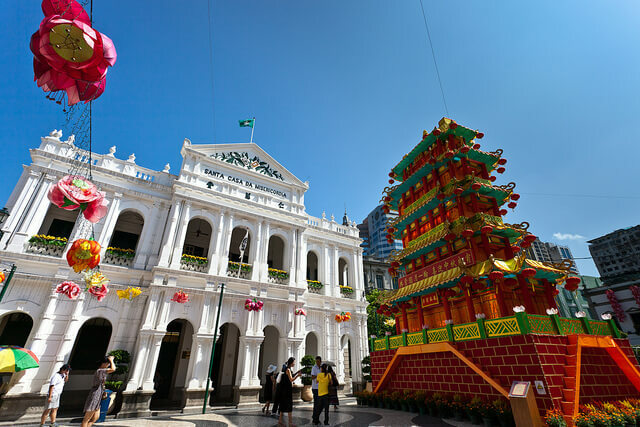 The square is a famous hub for cultural events and fireworks during special occasions such as the Chinese Spring Festival and Christmas and also hosts restaurants and shopping centers around it. Measuring 338 meters in height, the Macau Tower Convention and Entertainment Center offers the best view of Macau from its observation deck at 223 m above ground. Visitors have the opportunity to venture out along Skywalk X for a thrilling experience along the outer rim of the observation deck. 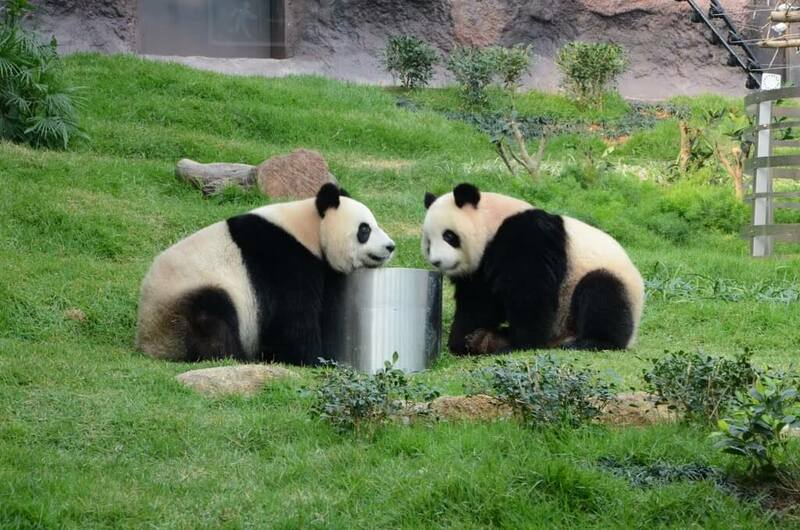 The Giant Panda Pavilion hosts two giant pandas Kai Kai and Xin Xin, which were gifts from the mainland Chinese government. The center is 3000 sq m in area with an indoor housing facility and outdoor yard. 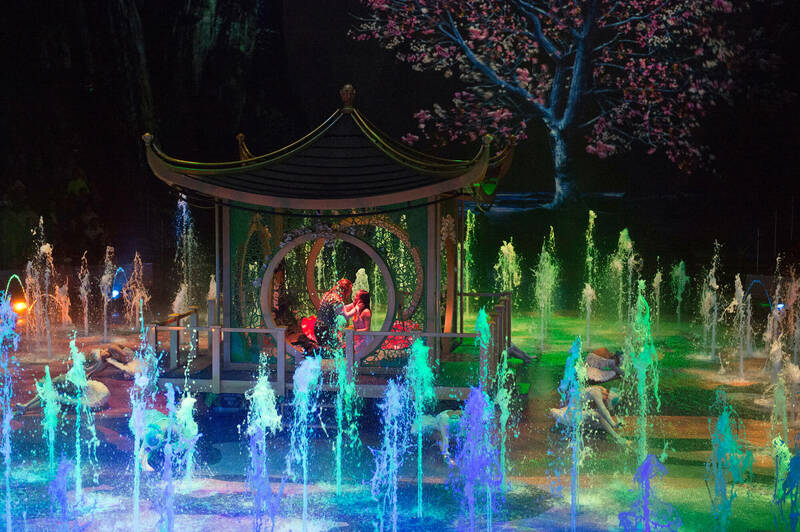 Hosted in a 270˚ theatre in the City of Dreams, the House of Dancing Water enthralls audiences with its live performance encompassing theatre, gymnastics, high performance diving, and dance. The show won the 2012 Thea Award for Outstanding Achievement for a Live Show Spectacular. Macau is more and more famous as one of the world’s fastest growing entertainment and leisure holiday destinations. Trip to Macau today and explore great outdoors in Macau. Macau, known world over as the Las Vegas of the East. Enjoy the great outdoors in Macau that are capable of arousing any traveler’s mind.